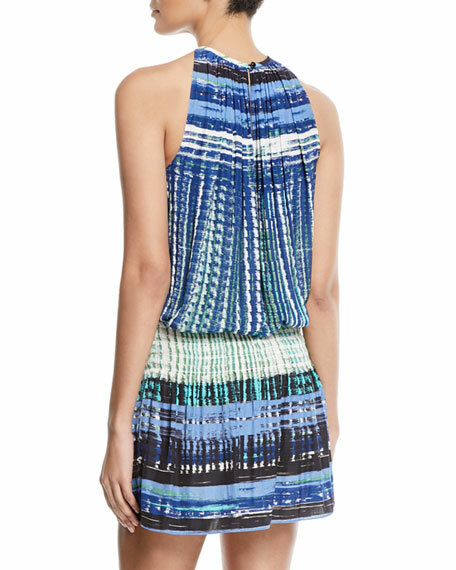 Ramy Brook "Paris" dress in warped stripe printone of the designer's signature silhouettes. Approx. length: 35"L from shoulder to hem, 36"L down center back. Jewel neckline; keyhole at back with button closure. For in-store inquiries, use sku #2528422.